This one-sheet shrimp with zucchini noodles recipe is an incredible paleo-approved version of a classic pasta dish. 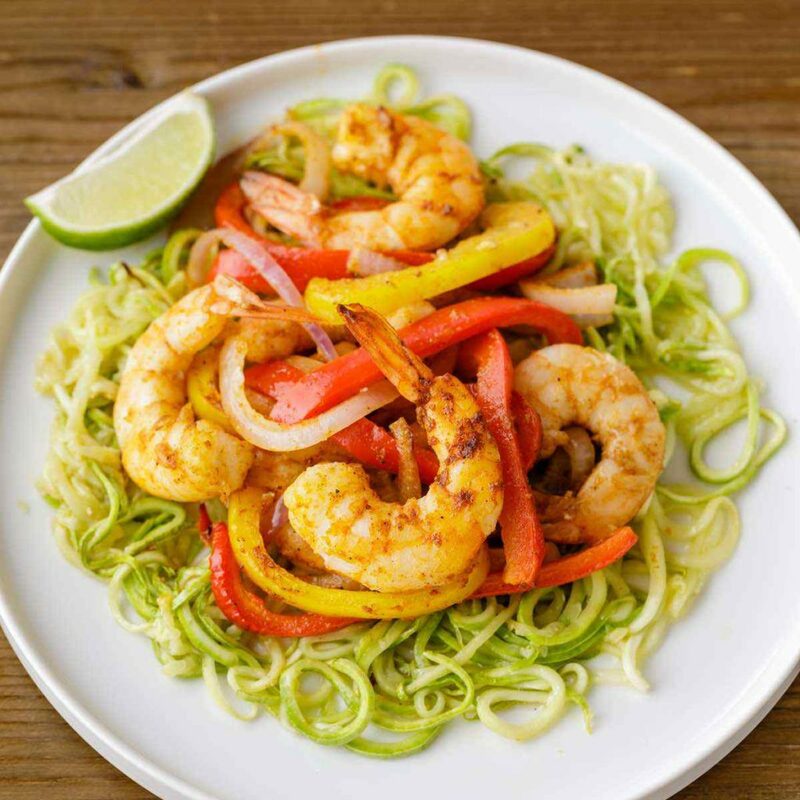 It incorporates spiralized vegetable noodles to keep the dish low-carb and appropriate for paleo dieters along with fajita style shrimp. Each of these items is tossed in a delightful homemade seasoning. 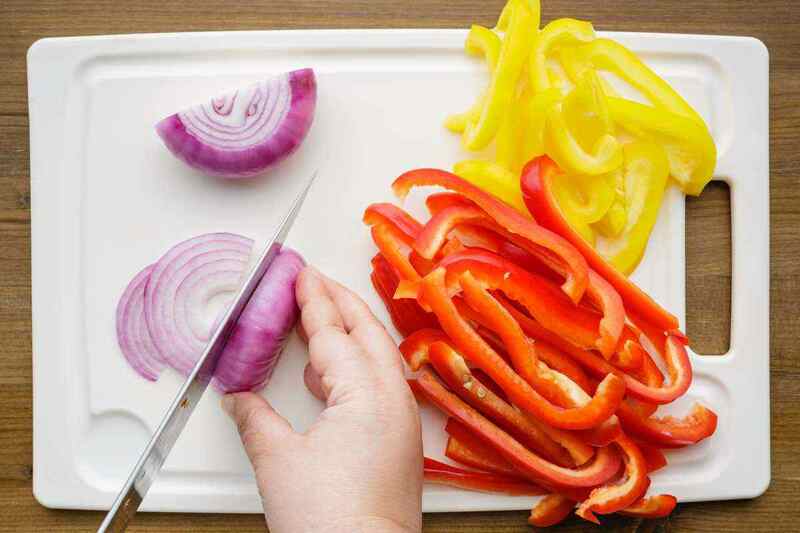 The seasoning is made with deliciously spicy and flavorful ingredients including bell peppers, onion, chili, garlic, and onion powder, ground cumin, paprika, black pepper, and garlic. 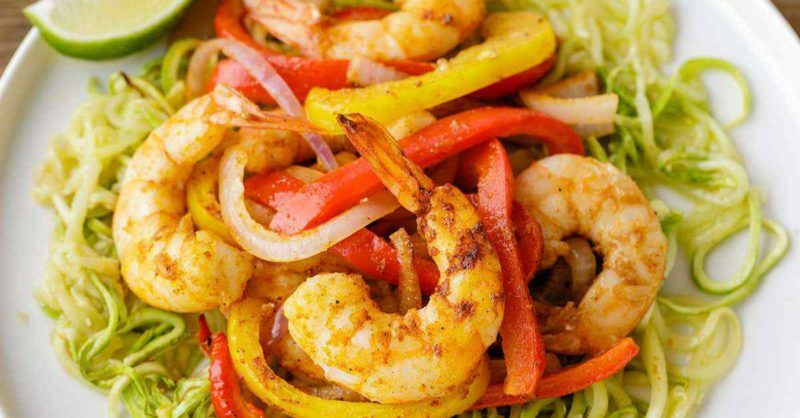 As you can imagine from looking at that list, the shrimp and veggie noodles in this recipe are loaded with an incredible amount of flavor that you won’t be able to get enough of. As tasty as shrimp and zucchini are on their own, what truly makes this recipe shine is the homemade fajita seasoning. Each and every ingredient used in the mixture serves to not only enhance the taste of the entire meal, but they all also provide you with some amazing health benefits as well. Let’s take a closer look at everything used in the fajita seasoning and what specifically makes it so good. Red and Yellow Bell Peppers – Bell peppers come in a wide range of different colors, but the one thing they all have in common is that they are jam packed full of nutrients. Green bell peppers actually contain twice the vitamin C content as an orange does, and red and yellow bell peppers are extremely high in carotenoids and ascorbic acid. (1) Both carotenoids and ascorbic acid help your body fight off free radicals, preventing them from causing cellular damage that could lead into the development of disease. Red Onion – The onion content in the fajita seasoning definitely contributes to its potent flavor. Not only that, but just like the bell peppers, red onions are loaded with essential nutrients as well. They contain vitamins B6, C, K, folate, magnesium, potassium, calcium, and thiamine. Onions contain antioxidants as well in the form of anthocyanins (2) which means they add even more protective health properties to the seasoning mix. For obvious reasons, pasta is not recommended for paleo dieters. However, as mentioned in this recipe, you could swap out pasta in recipes and replace it with vegetable noodles instead. 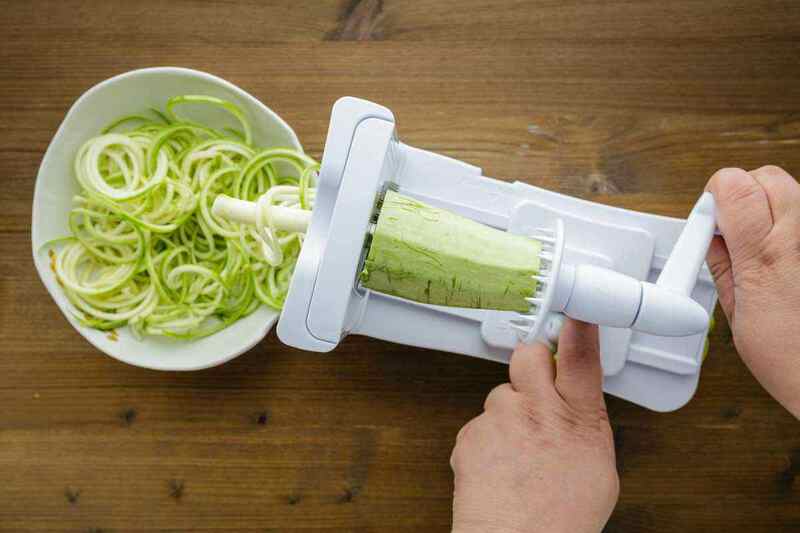 With the use of a spiralizer, you could make virtually anything into noodles and with the right sauce, you won’t even miss the pasta. 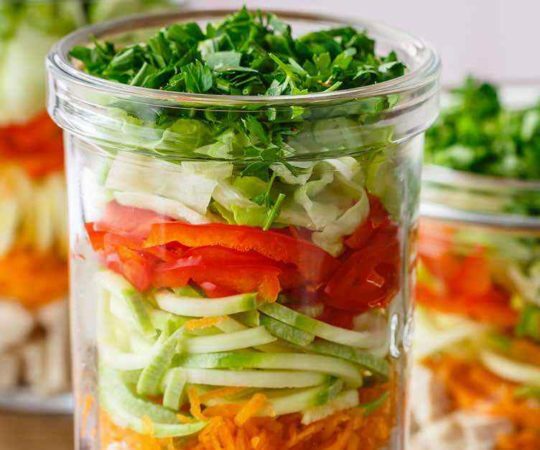 Spiralizing vegetables into noodles takes just a couple of minutes. You could have your vegetables raw, or you could also blanch it afterwards just to give it a bit of bite. 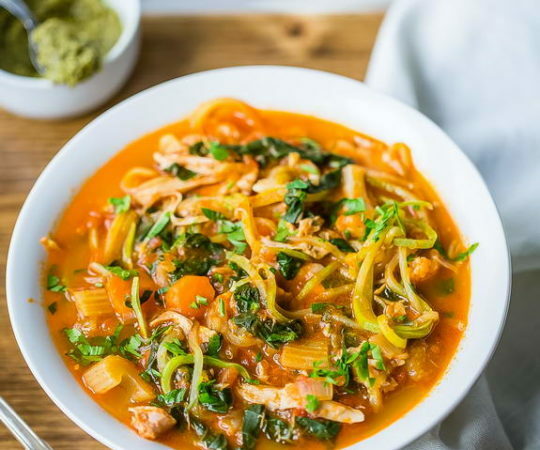 It’s easy to see why this is such an incredible meal to prepare, as it’s so quick and easy to make while being amazingly good for you at the same time. 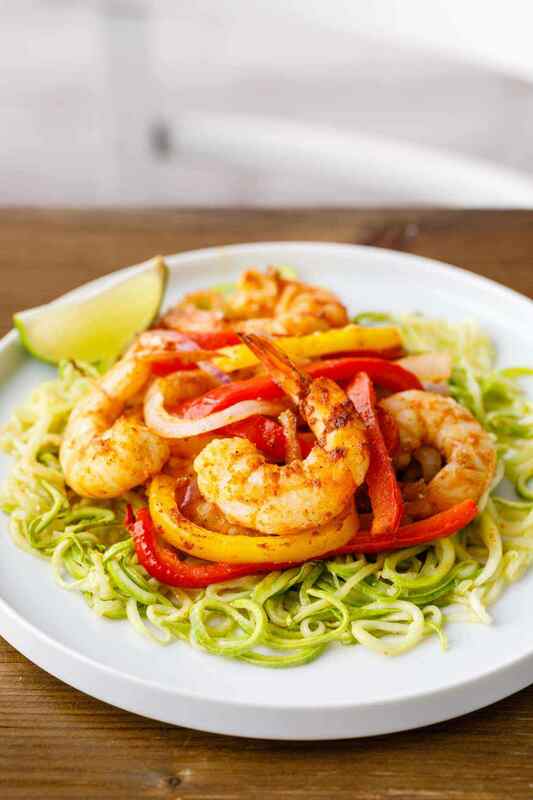 The shrimp and zucchini noodles are a perfect combination for paleo dieters, providing you with a meal that’s low-carb and high in protein. 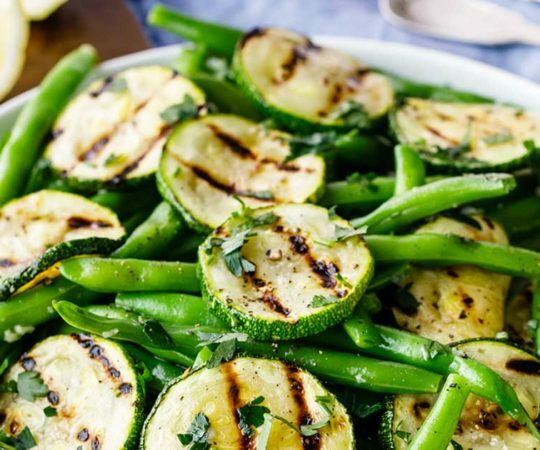 Meanwhile, the seasoning mix adds an immense amount of flavor to the whole thing while retaining some awesome health benefits as well. 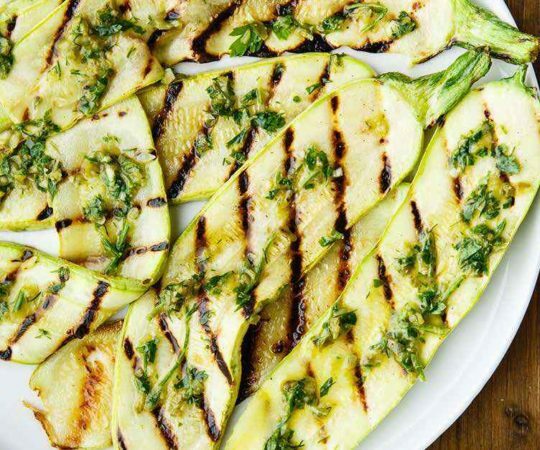 I recommend serving this dish with lime wedges as well to help offset a bit of the spicy heat, just in case. In a bowl add the shrimps, bell peppers, red onion, chili powder, garlic powder, onion powder, ground cumin, paprika, black pepper, half of minced garlic, 1 ½ tablespoon of olive oil and ½ teaspoon of salt and toss to combine. 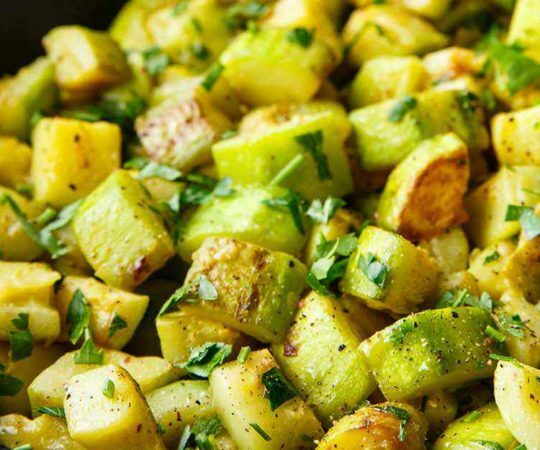 In the same bowl add the zucchini noodles, remaining minced garlic, 1 ½ tablespoon of olive oil and ½ teaspoon of salt and toss to combine. 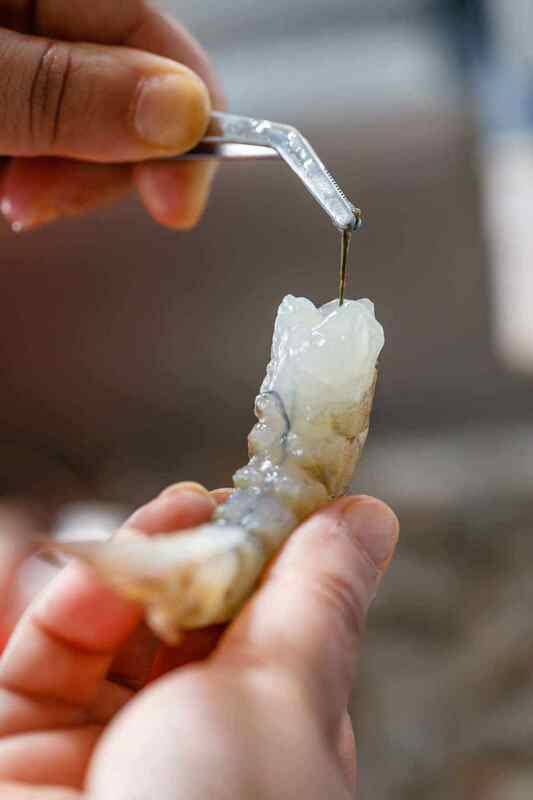 Bake in preheated oven for 10-12 minutes or until the shrimps are cooked through. 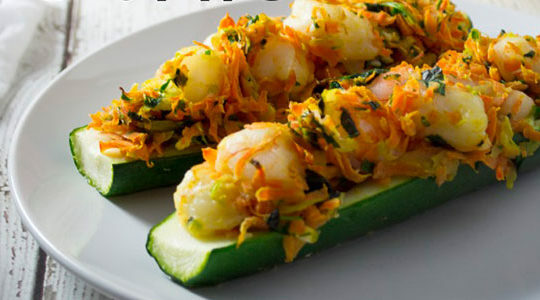 Divide the zucchini noodles evenly between serving plates and top with shrimps and vegetables. 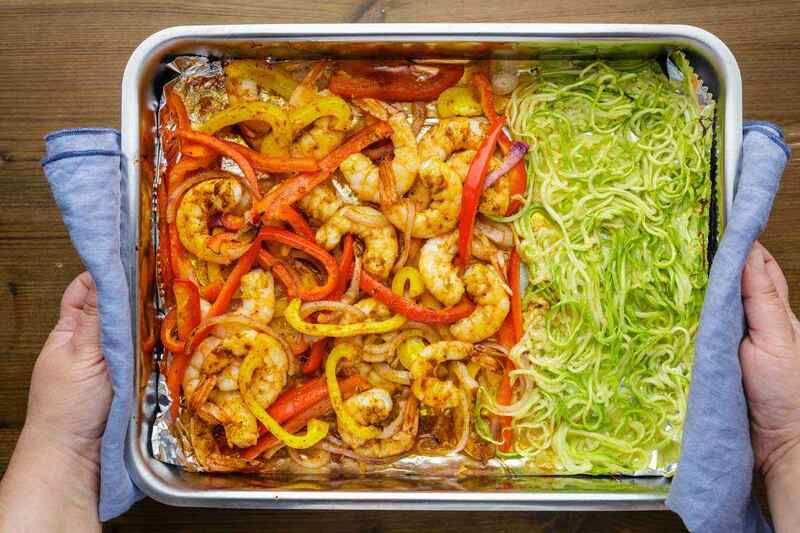 The Sheet Pan Shrimp with Zucchini Noodles recipe is a thousand-star recipe. Seriously. I made this, and my husband and I ate the entire dish by ourselves! I’m not that huge of a shrimp fan, but this was fantastic. The spices blended beautifully. I actually cheated by just throwing everything into one big bowl, mixing, then baking. Squeezing lime all over it before serving is a must. I’m going to make this dish again this week already. YUM!!!! !